If you’re trying to decide between Chase Southwest cards (because you can only have one personal card at a time now), it’s important to look beyond the welcome bonus and annual fee. The Southwest Rapid Rewards® Priority Credit Card currently comes with 40,000 Southwest points after spending $1,000 on purchases in the first 3 months of opening your account. It also comes with the highest annual fee of all the Southwest cards ($149, not waived the first year). 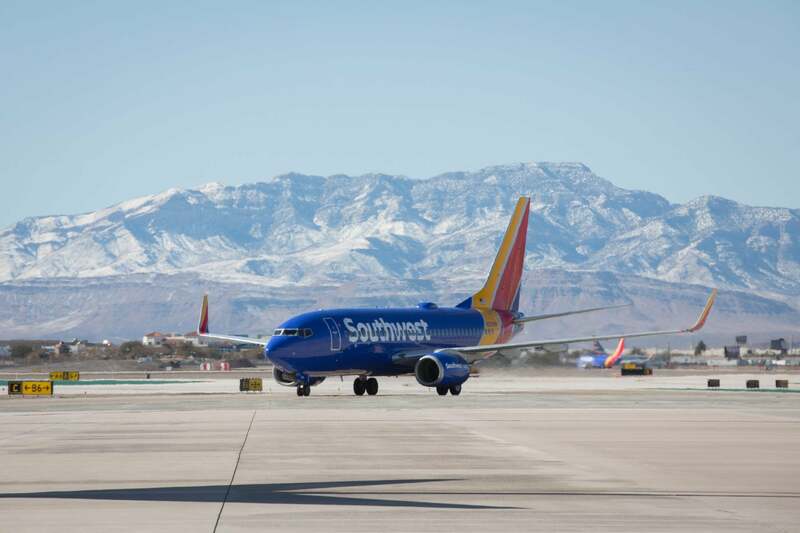 But don’t let the fee turn you off, because the Southwest Priority card is loaded with benefits and perks that can be worth much more than the annual cost. If you can make the most of them, you can actually come out well ahead with the Chase Southwest Priority card. 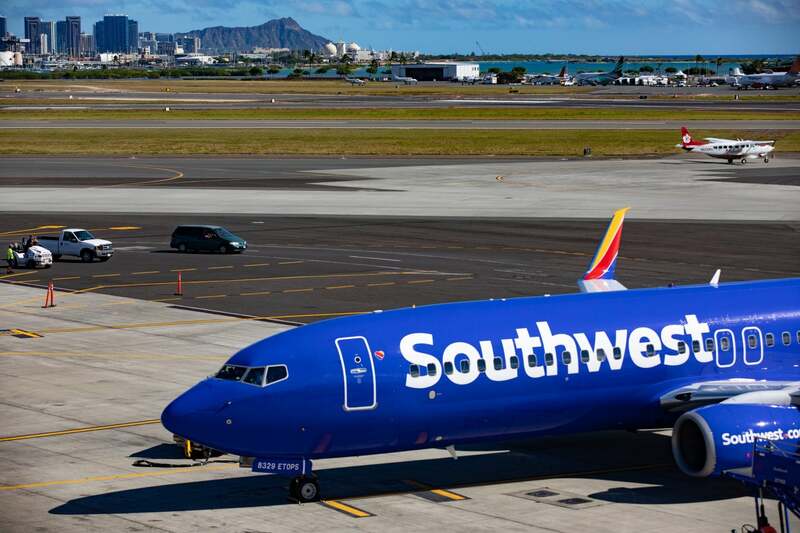 Here’s why the Southwest Priority card’s benefits and perks make it worth paying the annual fee. With the Southwest Rapid Rewards® Priority Credit Card, you’ll earn a bonus of 40,000 Southwest points after spending $1,000 on purchases in the first 3 months of account opening. That’s worth ~$600 in Southwest airfare because Southwest points are worth ~1.5 cents each on average. That’s a nice bonus from a single card with a low minimum spending requirement. Even better, the sign-up bonus and points earned from the card count towards the Southwest Companion Pass. So opening the Chase Southwest Priority card gives you a significant boost towards the best deal in travel. To qualify for the Southwest Companion Pass, you’ll need to earn 110,000 qualifying Southwest points in a calendar year. Many folks will earn the bonus from a personal Southwest card (Chase Southwest Rapid Rewards Plus Credit Card, Chase Southwest Rapid Rewards Premier Credit Card, or Chase Southwest Rapid Rewards Priority Credit Card) and the Southwest Rapid Rewards® Premier Business Credit Card in a calendar year to have nearly enough points to qualify for the Companion Pass. With the Southwest Companion Pass, a friend or family member can fly with you for nearly free (just pay taxes and fees) on paid and award flights for as long as your pass is valid. With any of the Southwest cards, because of the Chase 5/24 rule, you won’t be approved if you’ve opened 5+ cards from any bank (excluding certain business cards) in the past 24 months. Beyond the welcome bonus, there are lots of reasons to get (and keep!) the Chase Southwest Priority card, even with the $149 annual fee. Each year on your Chase Southwest Priority account anniversary, you’ll receive 7,500 Southwest points (worth $113 in Southwest airfare). This perk alone effectively reduces your net annual fee to ~$36 ($149 annual fee – $113 value of anniversary points). Every account anniversary year, you’ll get up to $75 in statement credits for eligible Southwest purchases – including airfare. Inflight purchases and Early Boarding fees are excluded. If you have even one paid flight on Southwest in a year, the Chase Southwest Priority card is totally worth it. Between the bonus points each anniversary and the $75 credit, you’ll get ~$188 in value ($75 credit + $113 value of anniversary points). That’s already $39 more than the $149 annual fee. With the Chase Southwest Priority card, you’ll get 4 upgraded boardings per account anniversary year. Paying for upgraded boarding puts you first in line to get on the plane (positions A1 to A15) and normally costs $30, $40, or $50 per flight depending on the route. This is extra handy if you’re traveling with young kids or need to sit near the front. 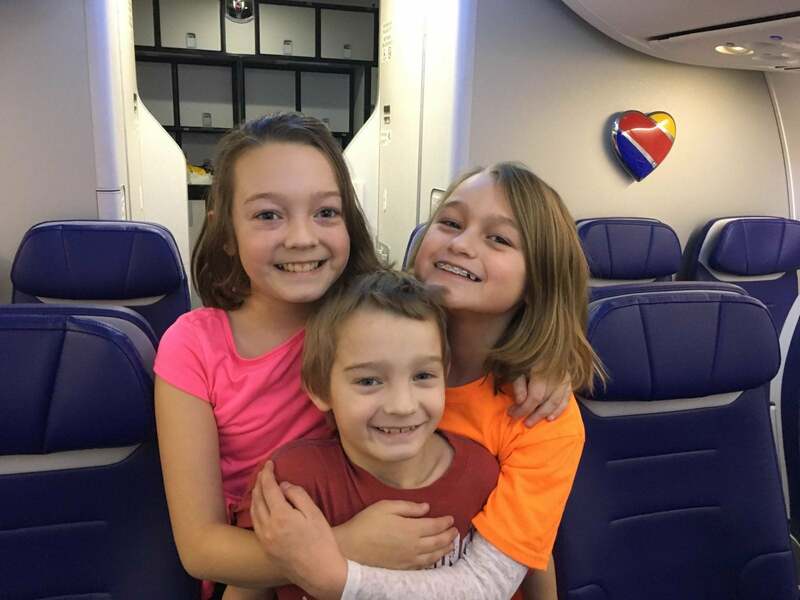 I know a lot of families get anxious about flying Southwest because they don’t have assigned seats – so this is a nice backup plan. At very least, the 4 upgraded boardings are worth $120 per year (4 X $30 per person). If you make the most of it on a more expensive route, you could get a value of $200 (4 X $50 per person). Use your Southwest Priority card for in-flight purchases (including drinks, entertainment, and Wi-Fi), and you’ll receive 20% back in statement credits with no maximum. That’s a decent discount that can add up quickly if you fly Southwest frequently. If you need more points to earn A-List or A-List Preferred elite status with Southwest, the Chase Southwest Priority card gets you 1,500 tier qualifying points (TQPs) for each $10,000 in purchases, up to $100,000 in purchases annually (which equals 15,000 TQPs). This could be the boost you need if you’re just shy of your qualifying points threshold for the year. Having Southwest elite status means you get bonus points on paid flights, priority check-in and boarding, and free same-day standby. 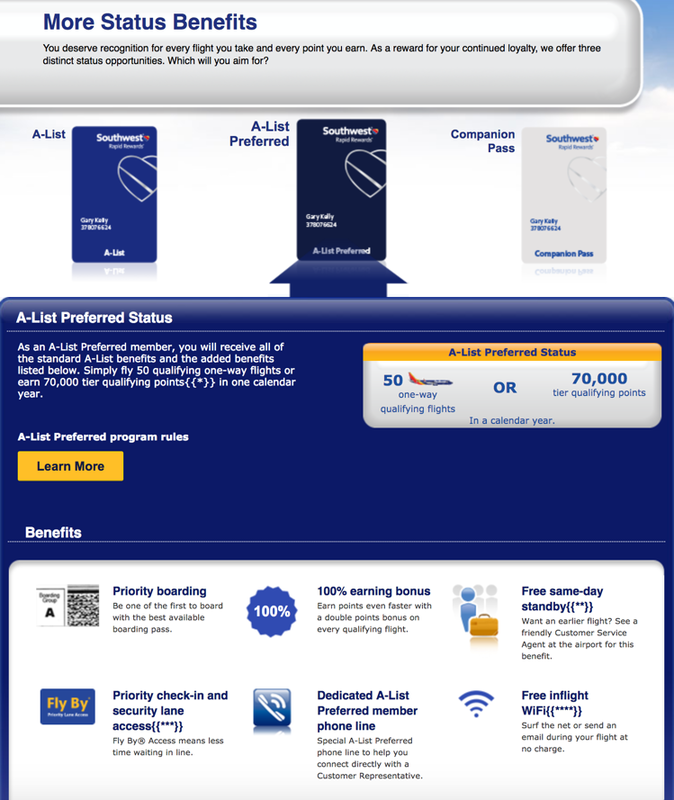 A-List Preferred members also get free in-flight Wi-Fi. You won’t get hit with extra fees if you use your Southwest Priority card overseas. 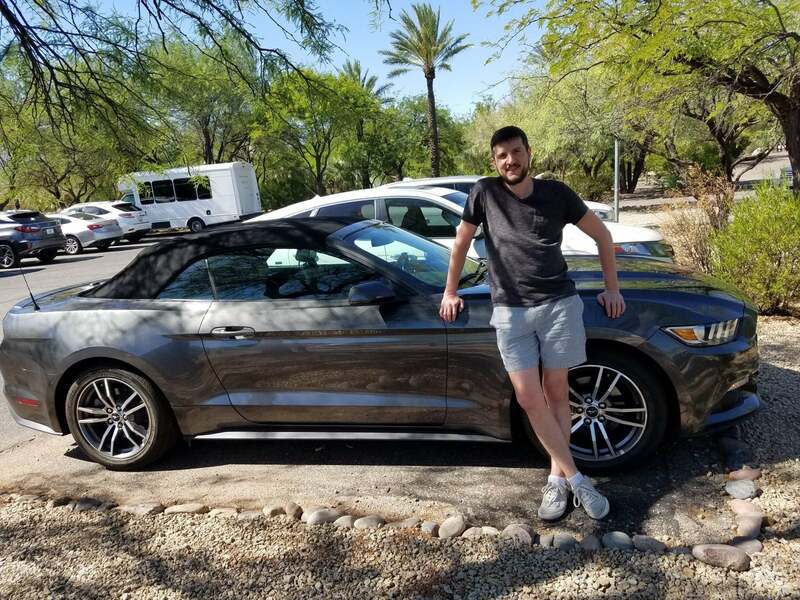 When you rent a car and pay for the entire rental with your Chase Southwest Priority card and decline the rental company’s collision damage waiver (CDW), you’ll get secondary rental insurance coverage for damage due to theft or collision in the US. And you’ll get primary coverage if you’re renting outside the US or if you don’t have your own automobile insurance. The Chase Southwest Priority will protect eligible new purchases for 120 days against damage or theft, up to $10,000 per claim and $50,000 per account. With extended warranty, the Chase Southwest Priority extends the time period of a US manufacturer’s warranty by an additional year on eligible warranties of 3 years or less. You’re eligible for a maximum of $10,000 per claim and $50,000 per year. 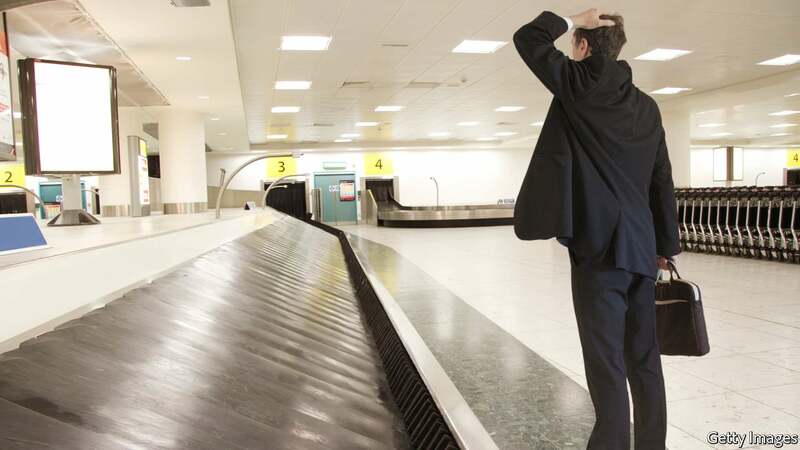 If you or your immediate family members’ checked or carry-on bags are damaged or lost, you’re covered up to $3,000 per passenger when you pay with the Chase Southwest Priority. You’re covered up to $500 for each insured person per trip for jewelry, watches, cameras, video recorders, and other electronic equipment. When you pay with the Chase Southwest Priority, you and your immediate family can be reimbursed for essential purchases like toiletries and clothing for baggage delays over 6 hours, up to $100 a day for a maximum of 3 days. When you use your card to purchase an eligible trip, you’ll receive travel accident insurance for yourself and immediate family. This includes accidental death, dismemberment, and loss of speech, sight, and hearing benefits. See the Chase Southwest Priority guide to benefits for full details. If you’re traveling and need help with relaying an emergency message back home or need a medical or legal referral, you can call the Benefits Administrator for help 24 hours a day. To access roadside dispatch, call 800-847-2869. It’s not free (~$60 per call), but it’s a helpful alternative if you don’t have your own roadside coverage. For more details on all the protections offered by the card, check out the Chase Southwest Priority guide to benefits. The Southwest Rapid Rewards® Priority Credit Card has the most benefits and perks of any Chase Southwest card. If you make the most of them, you’ll get a value that far exceeds the card’s $149 annual fee. You’ll also get travel and shopping protections when you use your card, including rental insurance and baggage loss or delay insurance. I’ve got the Chase Southwest Priority and plan to keep it for a long time because of its excellent benefits and perks.